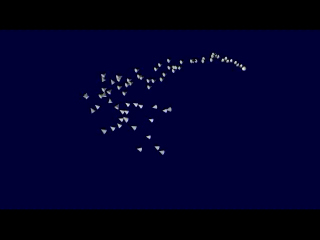 Herds is a small application for Maya to animate the flocking of birds and fish like objects. Controls for land animals will be added in the future (thus the name). Although it does not follow true flocking rules the controls allow for a very convincing reproduction with complete control over the motion desired. 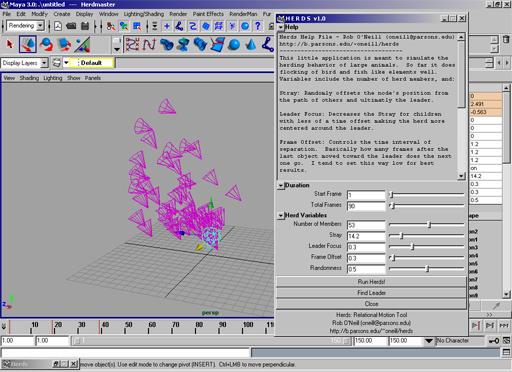 It has been tested successfully in Maya 3.0 through 2012 for Windows, and MacOSX. I would be happy to hear feedback (rob [at] morphometric [dot] com) especially if you have used the script to any degree in your work. Source now available live at github. 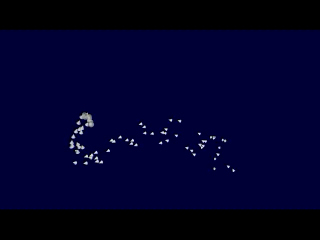 Update (March 13, 2010): Herds being rewritten in Python with some useful new features! *You may have to experiment with where the help file loads properly, I've seen some variation. Once the interface appears select the parameters you want. If there is an object that you want to use - have the "nose" pointing in the positive x direction and FREEZE ALL TRANSFORMATIONS on the object. 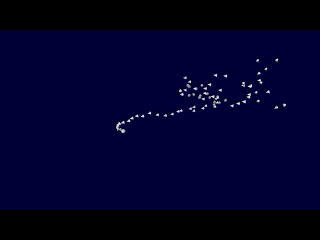 Once the object is set, have it selected (from it's root node) and hit the "Run Herds!" button. If you don't select an user defined object cones will be placed. The only variable that can't be changed after the "Run Herds!" button is pressed is the number of members sliders. Everything else can be tweeked afterward. After you've pressed the "Run!" button, hit the "Find Leader" button and select the tranlation(move) tool. 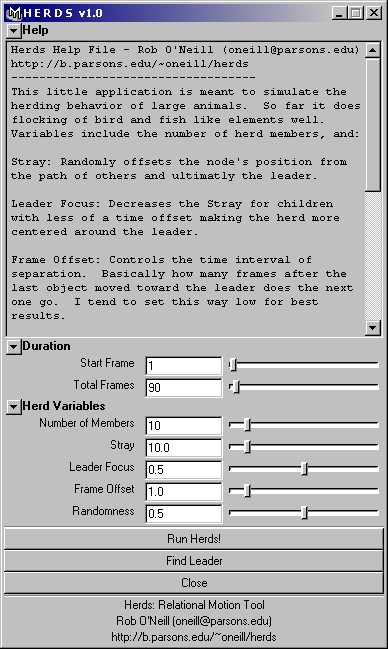 Before moving the leader just move the cursor to the selected leader and press it. In Maya 3+ a key on translation will be set due to the blue button manipulator that is attached to the lead object. Move the object and set keyframes as desired with the blue button on the object. 4.26.2002 - - - v1.5 included with May 2002 issue of Pixel Magazine with a feature on herds and me. 3.18.2003 - - - Moved to morphometric.com. 1.31.2004 - - - Herds v2.0 released - basically only bug fixes. 3.13.2010 - - - Herds v3.0 rewrite in Python announced.